We have represented thousands of clients who were involved in serious accidents in Raleigh and throughout North Carolina. 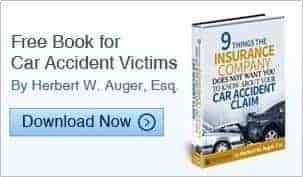 Our Raleigh car accident attorneys have been exclusively handling car accident claims for more than 20 years and know how the how the insurance companies work. Put our team to work for you to help get the full and fair compensation for your injuries. We know very well just how frustrating the days, weeks, and months following a car accident can be, especially when it is someone else’s fault. We also know that what you do and say in those first few critical days can have an adverse effect on your claim, making it extremely important that you seek the advice of an experienced car accident lawyer right after your accident, and before you talk to the insurance adjuster. As soon as we are retained, we immediately start work on your case. We will conduct our own investigation, and will promptly speak with all insurance companies involved. Our Raleigh car accident attorneys and staff will confirm that you are obtaining proper medical treatment and will consult all available insurance policies. We know that every client is unique, and we tailor our approach to each case based on the needs of the individual client and the facts of their case. We are committed to communicating with our clients, and we promptly return all calls. Auger & Auger car accident lawyers are committed to treating our clients with dignity and respect, and will ensure that each client is given the personal attention they deserve. When you contact the lawyers at Auger & Auger, your case will be personally evaluated by one of our experienced auto accident attorneys. Regardless of the duration of your initial consultation, it is free and we do not collect a fee unless we get a recovery. Our appointments are flexible and if you are unable to come to one of our conveniently located offices, we will come to you. Our trained legal staff will also handle your property damage and rental car claims at no additional cost. This is part of our service. Most of our clients are not aware of their rights to loss of use if they do not rent a car, or depreciation which is paid depending on the degree of damage and year of the vehicle. We will explain your rights to make sure that you are fully compensated for all aspects of your claim, whether it is injury or property damage. Whether it is in the negotiation of your settlement, or the litigation of your case in a jury trial, the Raleigh car accident lawyers at Auger & Auger provide over 40 years combined legal experience in preserving the rights of accident and injury victims. Early in her career, car accident attorney Arlene Auger worked for several well-known, large insurance companies and that experience benefits our firm. We are well versed in maximizing the value of injury cases and are proficient at resolving it in the quickest time possible. Our attorneys take pride in the personal attention given to all of our clients. We have recovered millions of dollars for our clients and will do everything we can to protect our client’s rights so that we can achieve a full and fair settlement for you. When you contact Auger & Auger, we will consult with you confidentially and free of charge, regardless how long the consultation takes. If we are able to represent you, we will not charge a fee until the final settlement and we are only paid if we win.